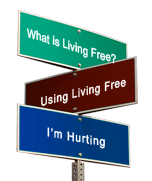 Join J.C. Bulldog as he teaches children how to live free" by setting appropriate boundaries. Using the eight objectives from 2 Peter 1:3-11, the Empowering Kids for Life workbook and facilitator's guide will give children the tools they need to build their own "tower of power" to avoid life-controlling problems. A host of characters will lead children through an adventure in healthy decision making. In their groups, the children will meet a sock puppet named Liberty, who is learning how to be free from the hand that controls him, as he tells a story from his own experiences each week. Through the "Power Paper" they will be introduced to J.C. Bulldog and his friends Opie Peacock, Pat Rat, Bonnie bat, Olivia Ostrich and the conniving Stan D. Snake. Liberty and the Power Gang use their own stories to demonstrate the principles that lead to freedom. A Facilitator's Guide with a CD that includes the 13 sessions of the Group Member's Guide as well as take-home "Power Papers." 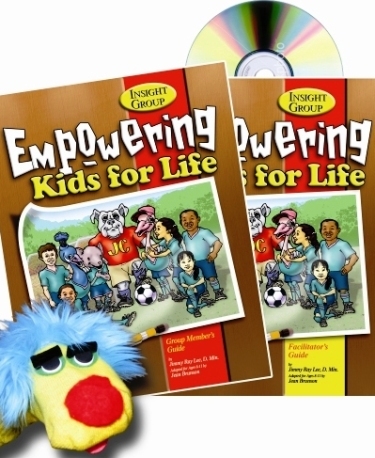 For a limited time we will include the DVD Training at no extra charge with the purchase of the Insight - Empowering Kids for Life Kit."